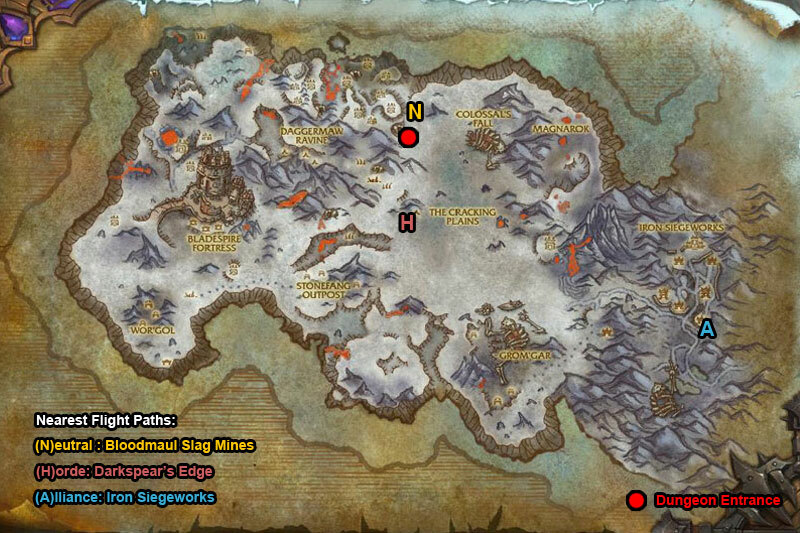 You can find the Bloodmaul Slag Mines dungeon entrance within Frostfire Ridge, Draenor. /i Interrupt Ferocious Yell. Don’t stand in front boss for Earth Crush (giant spike). Boss leaps on player ordering miners to attack them, kill attacking miners. /i Kill Ogre & adds. Avoid fire balls & moving spikes. Interrupt Firestorm. Boss releases, dispel Withering & Dancing Flames on players. Avoid landing area & kill the Molten Elementals quickly. They cast Magma Barrage & Volcanic Tantrum, interrupt these. Heroic Differences: Dancing Flames will be placed on two players. /i Dodge the fiery boulders (avoid red swirls). Avoid fire patches on floor. Wind pushes everyone down bridge, can still cast if don’t run into wind. Heroic Differences: Boulders roll back up the bridge. Cast speed is reduced by 100% if stand near boss. /i Move out magma pools under your feet. Interrupt Molten Blast. 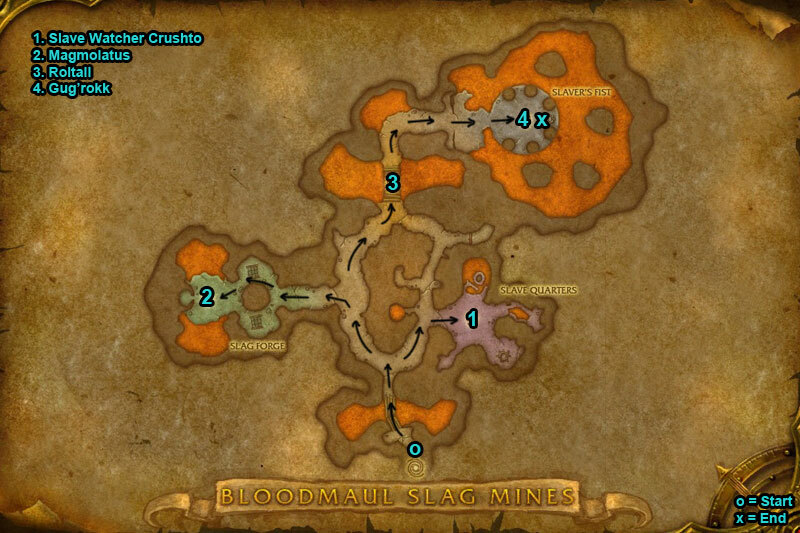 Kill the Unstable Slags quickly before they reach the kilns, use slows. Heroic Differences: Dispel Flame Buffet on players.